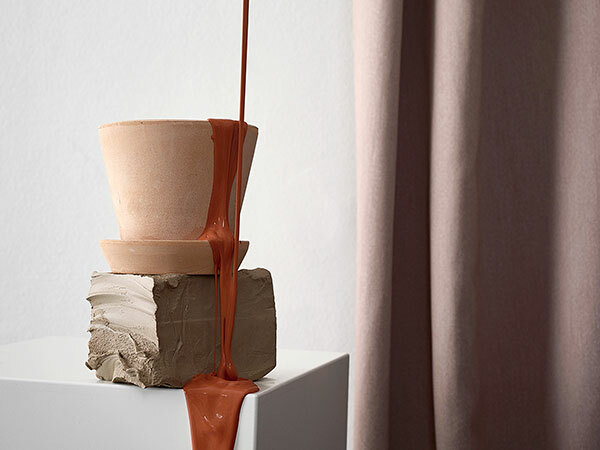 Foorum Center and Tikkurila introduce a shared project “Colour is a Lifestyle“, showing Tikkurila’s Colour of the Year N405 Terracotta and a trend collection Minerals. Scandinavian style is stepping towards more earthly colour palette. Predicting upcoming trends in interior design, Nina Bruun, Tikkurila’s colour consultant, turns her eyes often towards fashion, picking most interesting trends from fashion industry. “Fashion always moves one step ahead of interior design,“ she explains. During the whole design festival visitors of Foorum Center have a marvellous opportunity to meet Tikkurila’s collection of colours and colourful collections of fashion brands presented in Foorum Shopping Center, to witness collections that combine interior design, fashion and lifestyle. Go and grab inspiration from the trendiest colours of the year.